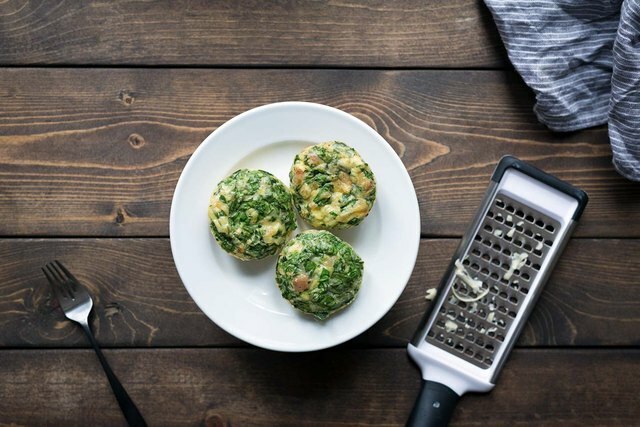 If you're looking for a quick breakfast on the go or a healthy, protein-filled snack, you should seriously consider baking eggs in a muffin tin. It's a great "kitchen sink" recipe that puts leftover vegetables to good use. It will work with a variety of cheeses and cured meats. You can even get creative with spices. 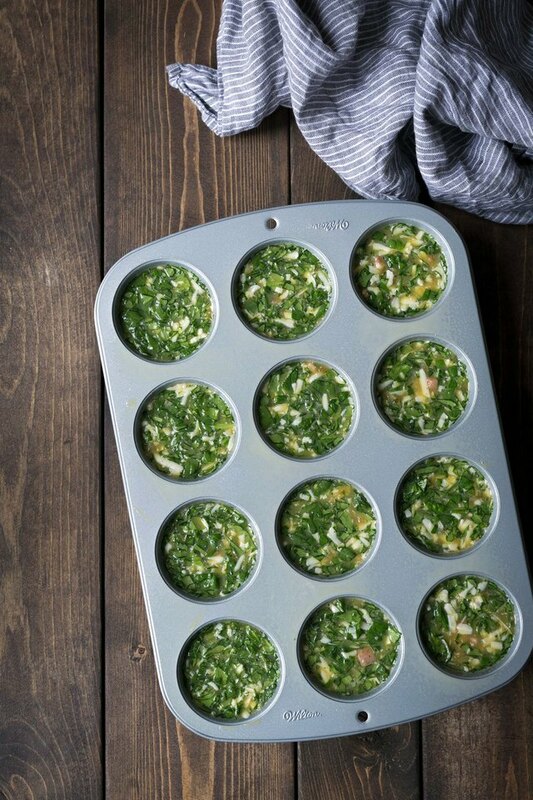 While they taste best fresh (everything does), these are great for busy families because you get 12 baked eggs at once, and can then refrigerate or even freeze them to enjoy at a later time! With the exception of the eggs, salt and pepper, this recipe is really designed to work with what you have. The main thing to keep in mind is that you want to keep the ingredient quantities approximately the same or you'll wind up with extra filling. While I used spinach in the version below, almost any vegetable will work (root vegetables and winter squash that require a long time in the oven should probably be avoided). If you don't eat meat, you can increase the vegetables by 1/2 cup. Preheat the oven to 350 degrees Fahrenheit. Lightly grease a muffin pan with cooking spray. 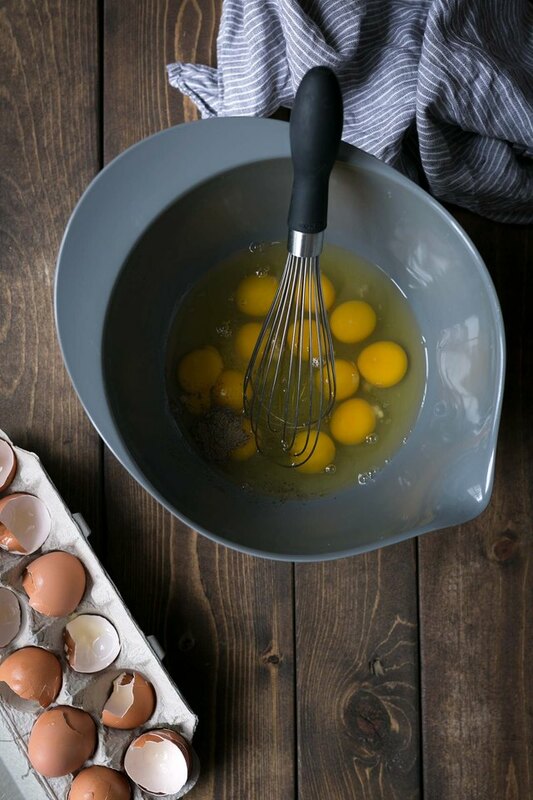 Whisk together the eggs, salt, pepper, and garlic powder. 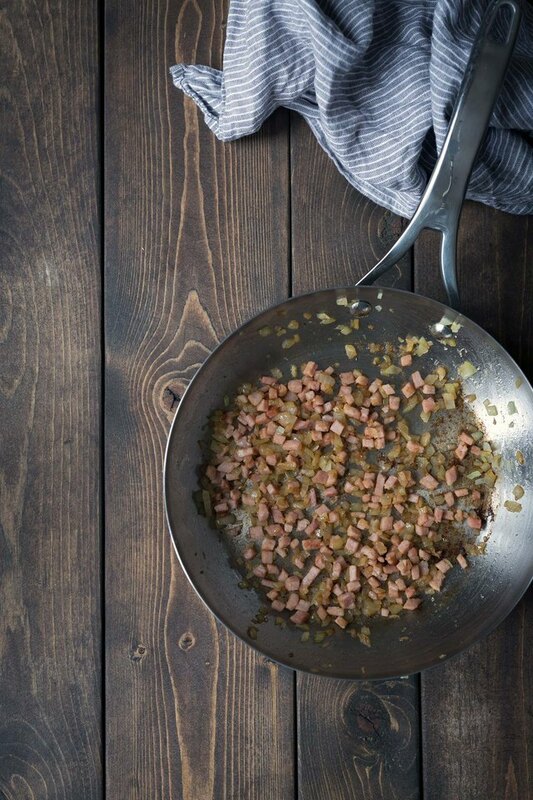 Lightly spray a skillet with cooking spray, and sauté the onions and Canadian bacon over medium-high heat until slightly browned, 3 to 5 minutes. This step can be skipped if you're short on time, but it adds a nice flavor. 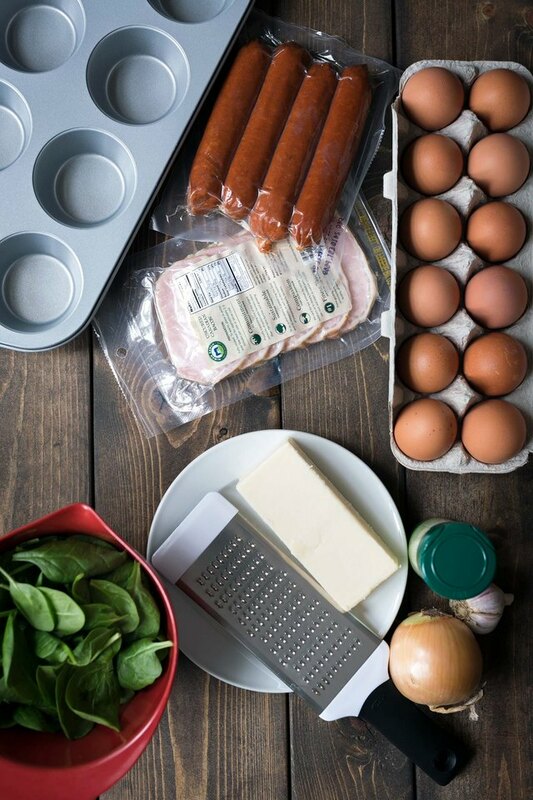 Briefly re-whisk the eggs, the add the cheese, spinach, sautéed onions and bacon, stirring to combine evenly. 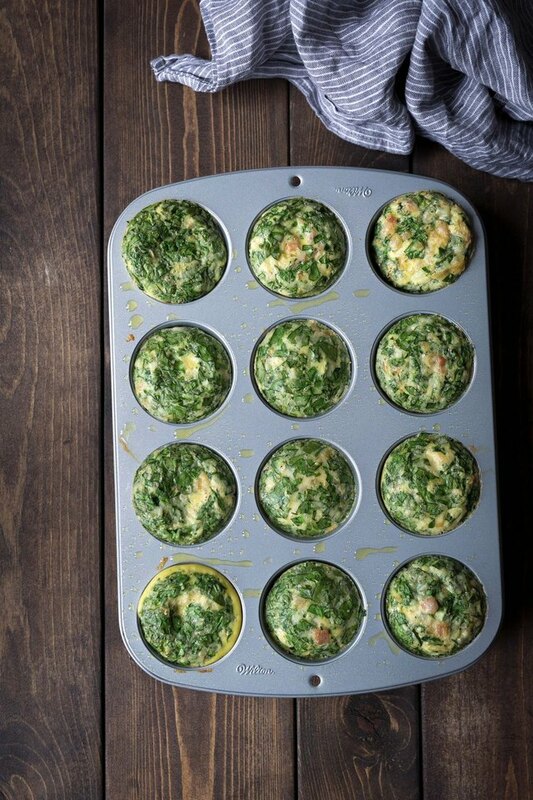 Distribute the mixture evenly among the muffin tins. They should be close to full, but slightly under. Bake for 20 to 25 minutes, or until a knife comes out of the center clean. Serve warm. To store, wrap individually in plastic wrap and place in a resealable bag. Store in the refrigerator for up for 5 days or in the freezer for up to one month. To reheat, microwave until heated through, approximately 30 to 60 seconds.